Tony A ran an event centred around the Coalport Hostel at Ironbridge. The event ran from Thursday 2 November until Sunday 5 November. This was a chill-out week-end and not all about cycling. 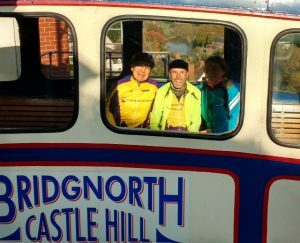 Tony, Michael, Brian, Jane and Mick rode to the hostel on Thursday 2 November from Quarndon Village Hall (DE22 5JA). 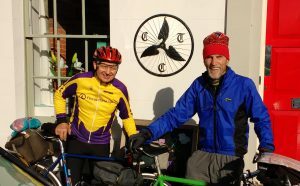 There was an opportunity for a car assist from Quarndon for cyclists to ride with the group who were going to the hostel. This route passed through Keddleston Hall and by Blithfield Reservoir. The first cafe stop was at Cannock Chase and the car assist group were able to return to Quardon from here. 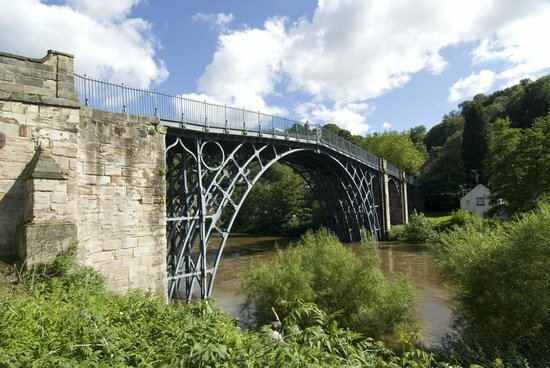 On Friday the group went on a 35 mile ride via Much Wenlock and beneath Clee Hill to Bridgnorth and back via Ironbridge. 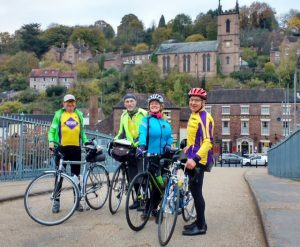 On Saturday the group had a wonderful autumnal 60 mile ride from Coalport to Ludlow and back, taking in the lovely Shropshire lanes. 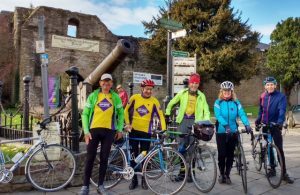 On Sunday Michael, Tony, Brian, Jane and Mick cycled back the 62 miles to Quarndon passing through Brewood and Shrugborough Hall on the way.